Streamlined and sophisticated, LUX LED Task Lights for the home. Mighty Bright, designer and manufacturer of innovative LED lighting products, introduces LUX LED Task Lights for the home, at The International Home + Housewares Show, at McCormick Place in Chicago, Illinois, March 10-13, 2012. Mighty Bright will showcase LUX in the Discover Design expo center, booth #S4074. Streamlined and sophisticated, LUX LED Task Lights exemplify Mighty Bright’s commitment to provide lighting solutions that are functional, eco-friendly, and embody a simple aesthetic elegance. 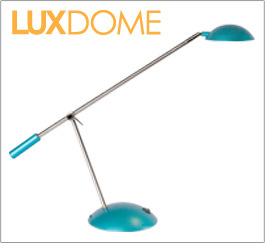 The LUX line features two styles of LED task lights—LUX Bar and LUX Dome—that provide accent and essential lighting in the home. Both styles complement all décor and offer a bright white, energy-efficient light for working, reading, and relaxing. The LUX line compromises neither form nor function and fits beautifully throughout homes including in living rooms, bedrooms, home offices, great rooms, and art studios. 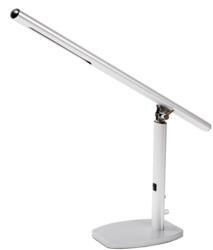 LUX LED Task Lights by Mighty Bright provide ample brightness and energy-efficiency. The durable high brightness LEDs produce 250 lumens and a pleasing white (4000 Kelvin) light for up to 50,000 hours of continuous illumination. These lamps will provide years of reliable service and will never require bulb replacement. LUX LED Task Lights are the perfect replacement for both incandescent lights that waste energy in the form of heat, and for fluorescent (CFL) lights, which contain toxic mercury vapor and require expensive replacement bulbs. Visit Mighty Bright at The International Home + Housewares Show: booth #S4074.